If you are wondering what the best baby Christmas gifts are, you’re in luck. 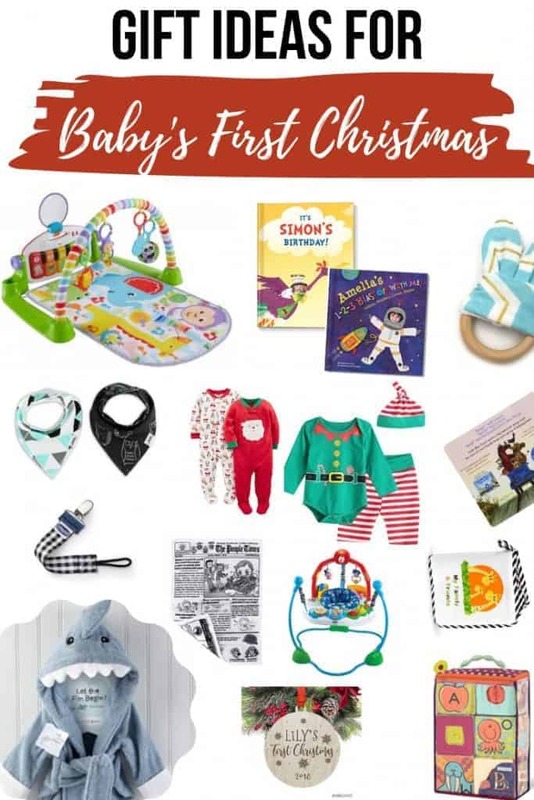 This baby’s first Christmas guide has a great mix of functional gifts for babies, fun toys and educational gifts. 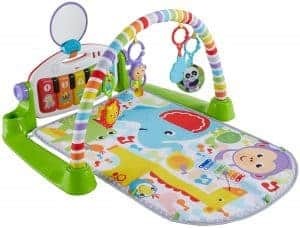 This baby Christmas gifts post is brought to you by I See Me and contains affiliate links, but nothing that I wouldn’t wholeheartedly recommend anyway! Read my full disclosure here. Are you ready to see the best baby Christmas gifts?? Today, it’s all about the littles in your life with my guide full of baby Christmas gifts. We added another little one to our family this year, so we can be considered experts when it comes to baby gifts. I’m excited to share lots of our favorite baby products that we use day in and day out in this gift guide for baby, which will all make great Christmas presents for any baby! 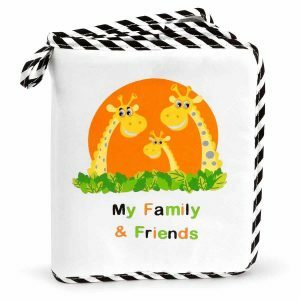 Before we get into the gift ideas for babies, let me just introduce you to one of the amazing companies in this gift guide. I See Me creates personalized books for children of all ages. Most personalized children’s books on the market, just throw the child’s name on the cover and maybe once or twice throughout the story, but I See Me’s books are much more customizable and interactive. Some of I See Me’s photo books incorporate pictures of the child throughout the book too, which makes it so fun for the kiddo to read and see themselves… hence the name “I See Me”! These books are definitely great gift ideas for babies. Without further ado, let’s jump right into the baby Christmas gifts! 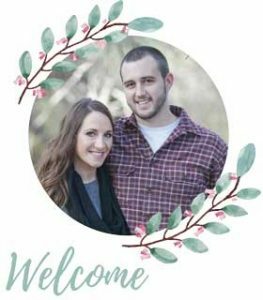 I was instantly drawn to the colors and fun pictures on these soft blocks when I was registering for my baby shower. I’m so glad that we received them as a gift. Both of our babies have loved them! Even when our son was a newborn, he loved looking at them as I would hold them up and talk to him about what was on the blocks. As the babies have gotten older, they’ve enjoyed grabbing them, knocking them over, chewing on them and especially loves the rattle. I know that as our little ones continue to grow and develop, we’ll find new uses for the blocks for much longer. 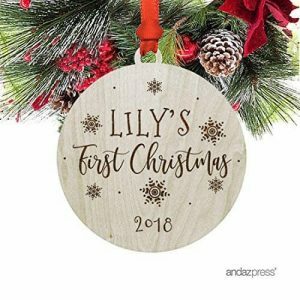 Every baby needs a Baby’s First Christmas ornament! I love the rustic look and cute fonts in these round ornaments. I also love the fact that these display the year. Bath time just got a whole lot more fun! 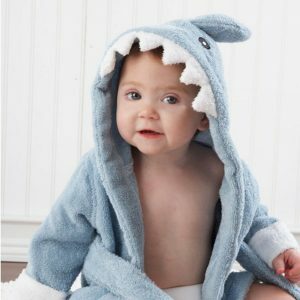 Wrap your cozy little one up in this adorable bathrobe. Now if that’s not the cutest thing you’ve ever seen, I don’t know what is. You can only dress your baby in cute and and maybe a little cheesy clothes for so long before they protest, so take advantage of it. 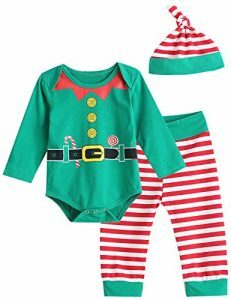 This elf outfit is the cutest. This photo book is awesome because you slide in your own photos of friends and family and can change it out as many times as you need to keep your little one interested. It’s also great for teaching names and developing language. The bumbo seat was one thing that I didn’t put on my baby registry thinking that it was unnecessary. Since I’ve purchased it, we seriously use it everyday. It’s so nice to have a place to sit the little one down in while you do dishes, cook dinner, etc. 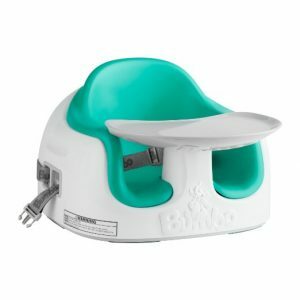 We ended up buying the original bumbo floor seat , which is great but I really wish we would have gotten the multi seat. For just $5 more, you get the tray, retractable attachment straps to attach to chairs, wider leg openings and you can remove the foam pad as your child grows. Cal’s fat little legs are already almost too big to fit in our Bumbo floor seat. Those rowdy little pacifiers can be such a pain! When you’re out and above with your little one, they always seem to be dropping them. To avoid have to clean it every time that happens, pacifier clips come in handy. You can just clip them anywhere to the baby’s clothes and problem solved. 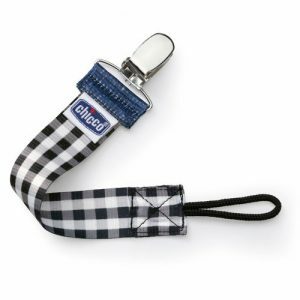 I love this one from Chicco in the gingham pattern. Parents.com says “Research shows it’s never too early to start enjoying books with your little one.” They site 9 reasons why it is so important to be reading to your little one from day one, including bonding and brain development. I love seeing Cal develop a love for books. He’s just starting to figure out how to turn pages. 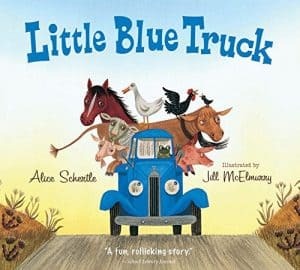 Little Blue Truck, Good Night Moon, and Brown Bear are some of our favorites right now. We ordered this jumper for Cal when he was about 4 months old and he’s had a blast in it so far. We did a lot of research and chose this one for many reasons. 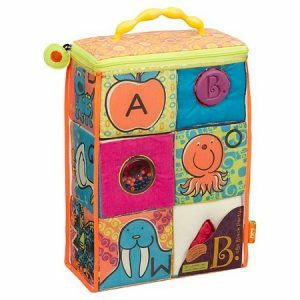 It is very interactive with music, ABCs, color and animal recognition. I don’t think he’ll ever get board with this. We’ve had our cousin over, who is a year old, and she loves playing in it too. We can’t seem to get enough PJ’s in our life. We tons of different deigns of these’s Carter’s PJs and I just love them! They are so soft and cute. These ones with Christmas designs are so fun! Every family has a “don’t dare leave home without it” item, right? 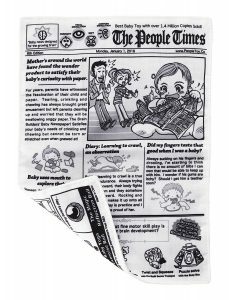 I’m sure for some it’s a favorite teddy bear or maybe a pacifier…For us, it’s crinkle paper! Both our kids have been so amazed by these things. They love grabbing them, chewing on them, you name it. I love this newspaper print one! Babies drool a lot! 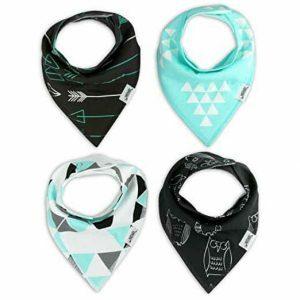 These bandana bibs totally come in handy so we don’t have to change his shirt multiple times per day. I also like them for the car because our kids always seem to spit up when we’re driving around. When our kids started teething, they were very interested in wooden teething rings. 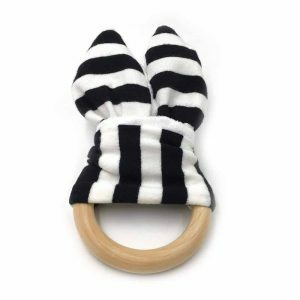 This bunny ear teething ring is great because it gives the baby something to hold on to while they are chomping away on the wooden ring. This one always features crinkle paper in the cloth…which is a double win for me. I can’t say enough great things about this kick and play piano gym. This has been one of the longest lasting activities toys for our kids as they developed. 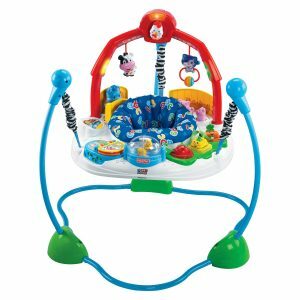 We started using this when they were about 1 month old, putting them on their backs so they could look up at the fun toys and stare into the mirror. It was only a matter of time before they started kicking their feet to make the music on the piano keys and reaching for the toys. It’s great for tummy time too because the colorful mat keeps their attention. Our son actually rolled over for first time on this mat. Once they turn around 6 months old, they will begin enjoying tummy time facing the piano keys and reaching out to push them and make music. I absolutely love I See Me products! I was so excited when I discovered them earlier this year. I’ve ordered this exact book a couple times as a gift for some of the babies in our family, which is why it’s one of my favorite baby Christmas gifts. You are able to customize the book with the baby’s name and photo, which appears not only on the cover but on every page throughout the book! 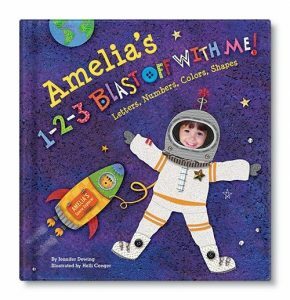 The story is fun and focuses on letters, numbers, color and shapes so it’s great for child development. This one has sturdy pages, which is recommended for little ones. Be sure to hop over to I See Me’s website to check out their other products. They have great gift ideas for babies and children of all ages, including Christmas books. You may be wondering, what in the heck do I buy for a baby’s first Christmas…That’s a good question! 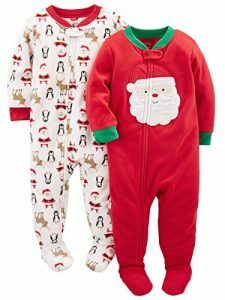 Any one of these baby Christmas gifts would be a good fit for a baby under 1 years old! This baby’s first Christmas guide has a great mix of functional gifts for babies, fun toys and educational gifts. Which of these baby Christmas gifts is your favorite?